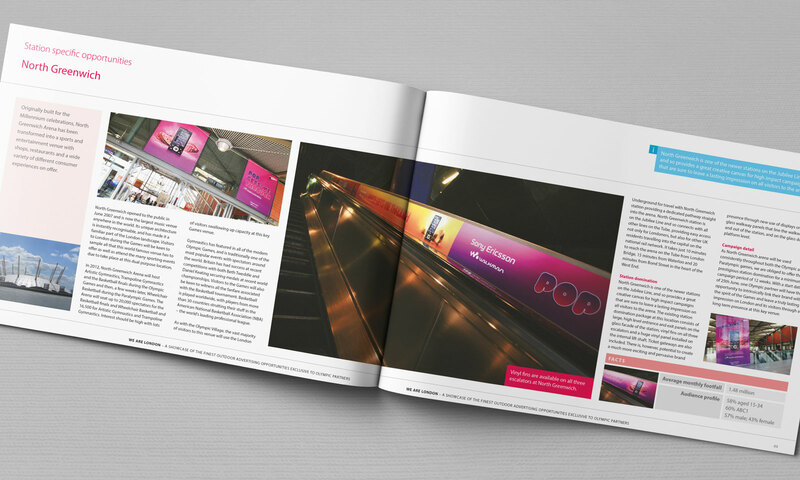 Showcasing the finest outdoor advertising opportunities during the 2012 Olympics. 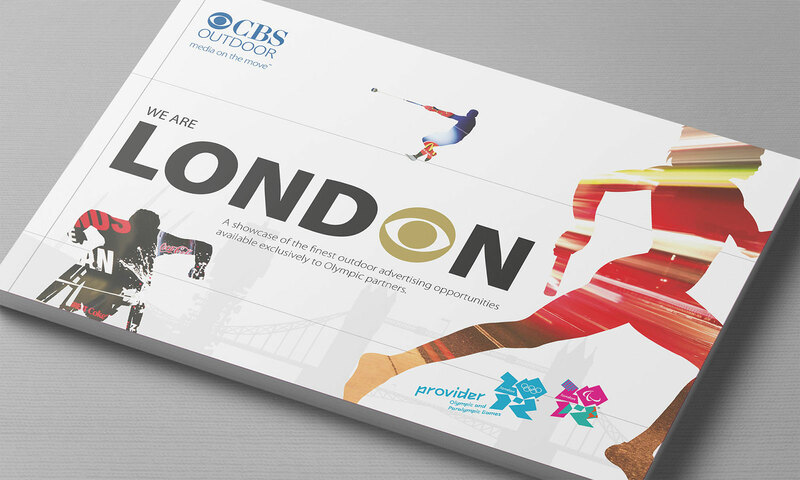 As an official Olympic 2012 partner, CBS Outdoor required two brochures promoting the wealth advertising opportunities for official sponsors as well as other organisations wishing to take advantage during this important period. 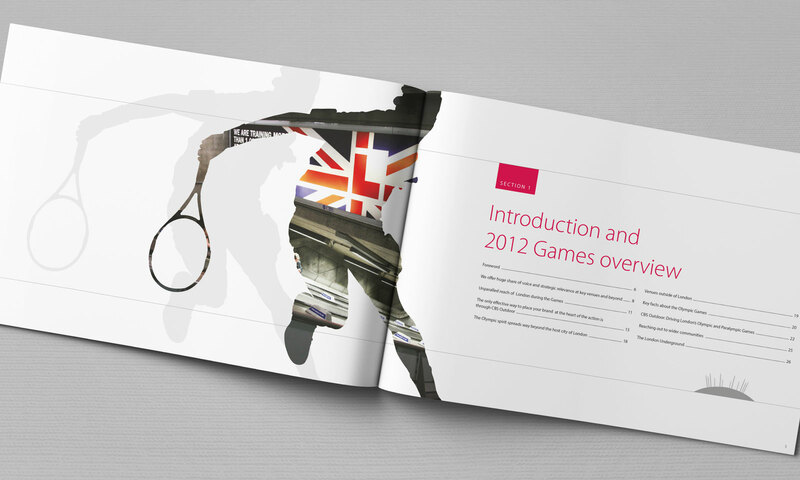 Outlines of Olympians with snippets of advertising property embedded within helped create an abstract, colourful and relevant pectoral language. 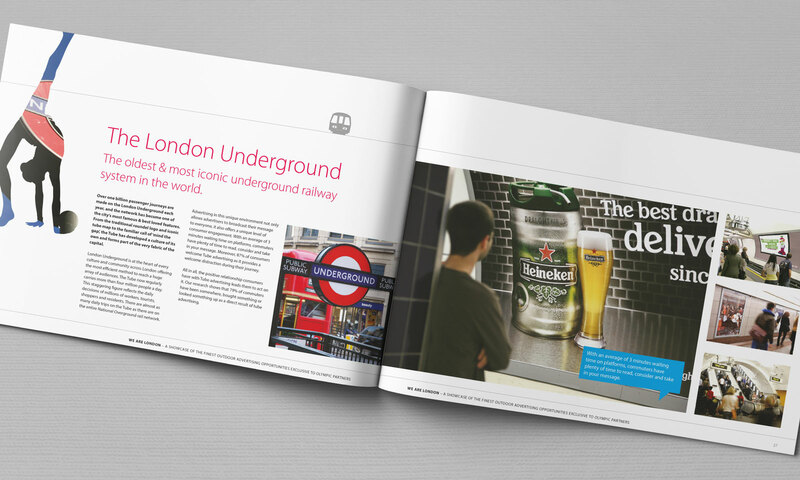 These were supplemented by thumbnail sized silhouettes of famous London landmarks. 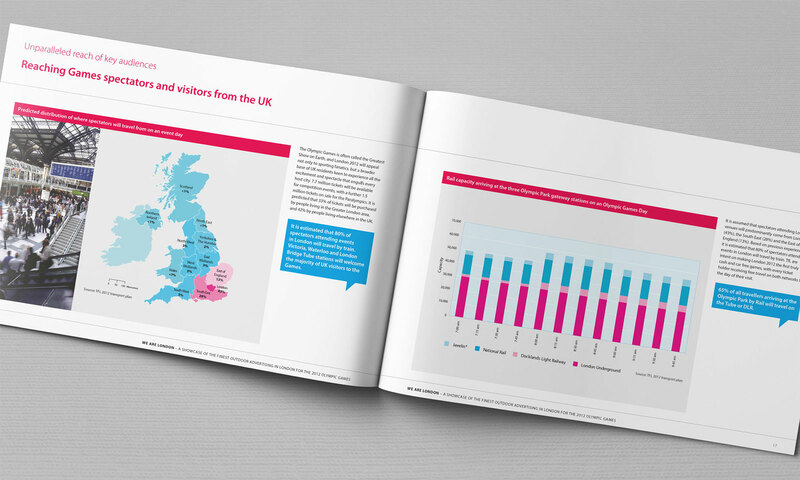 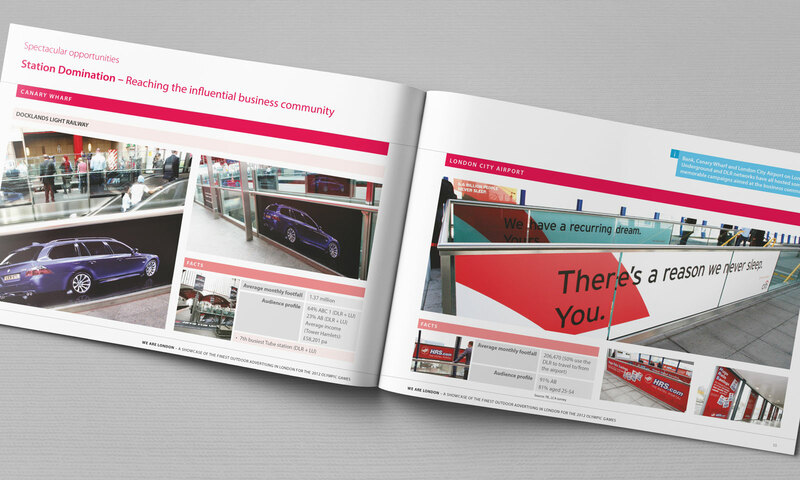 The main bulk of each brochure was taken up by information regarding site types and station opportunities. 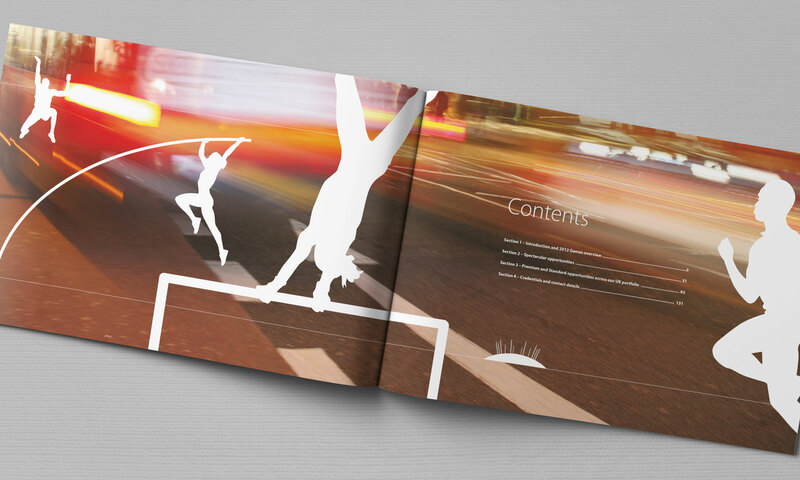 To this end a simple framework was introduced where imagery and text exist simply side by side. 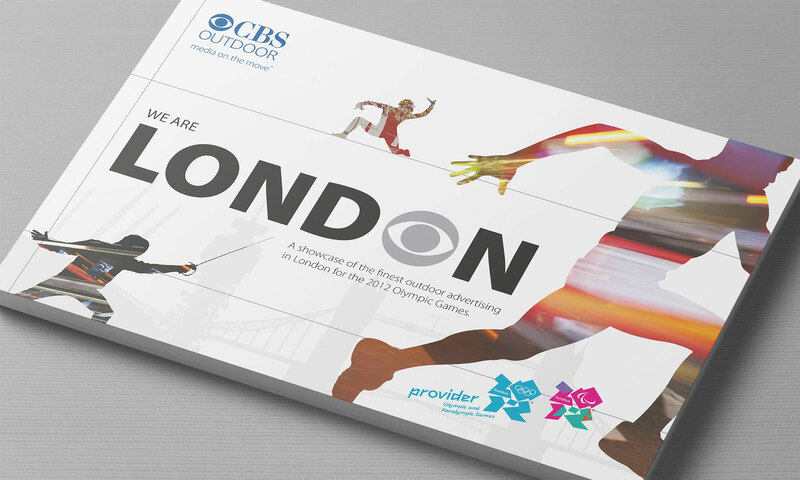 To differentiate each brochure, different silhouettes and embedded imagery were used (and spot varnished) as well as spot metallic inks used for the CBS Outdoor eye within the main headline.